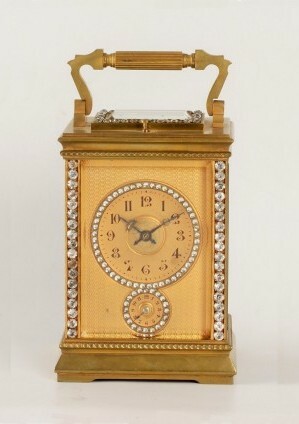 A French gilt carriage clock in unusual case, C. Prost, circa 1890. 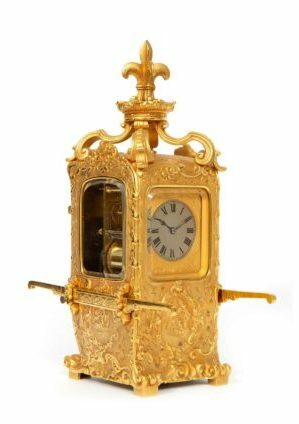 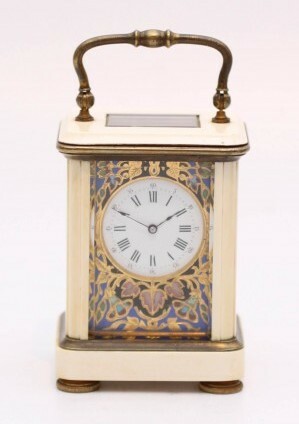 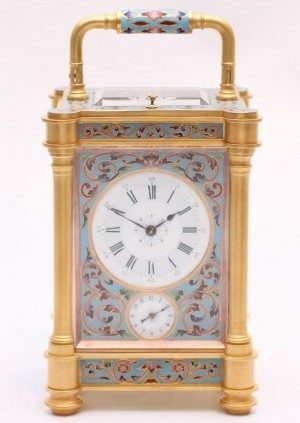 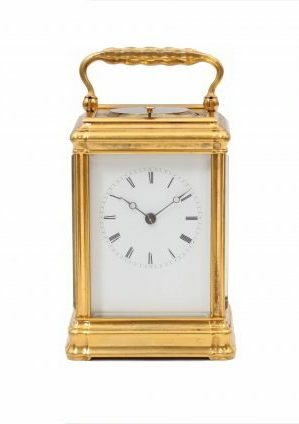 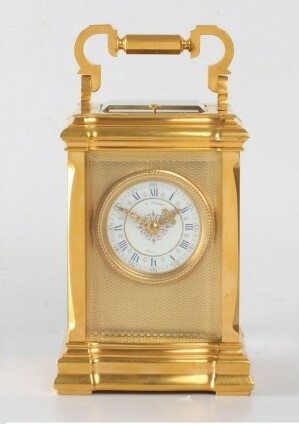 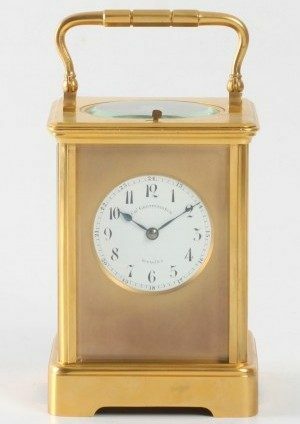 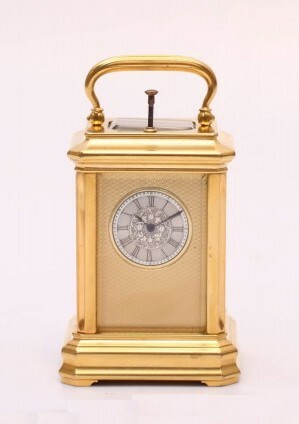 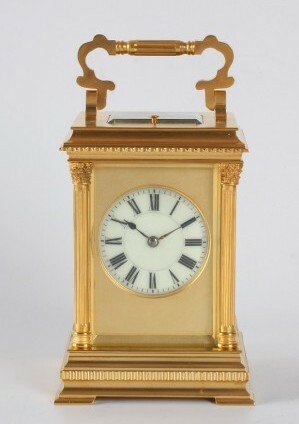 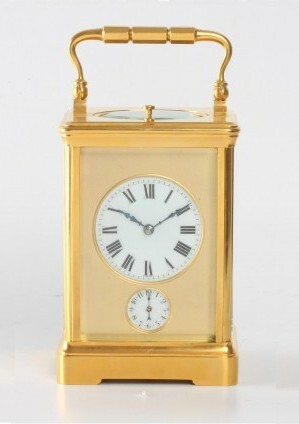 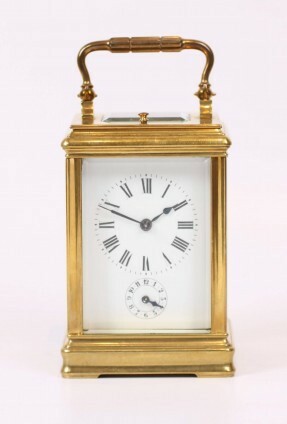 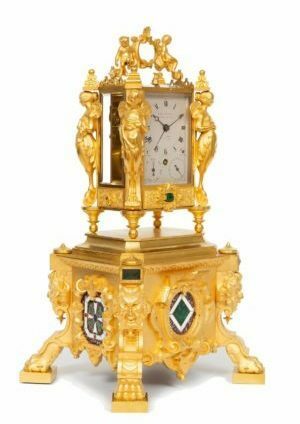 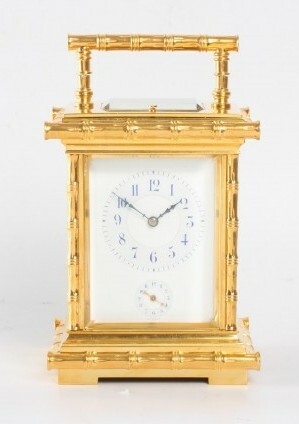 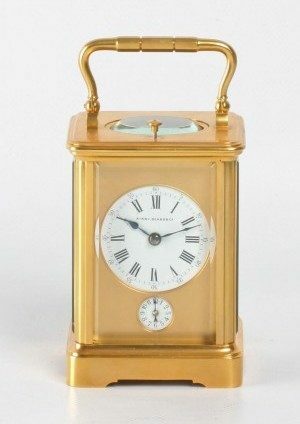 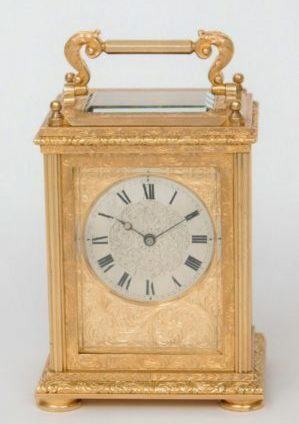 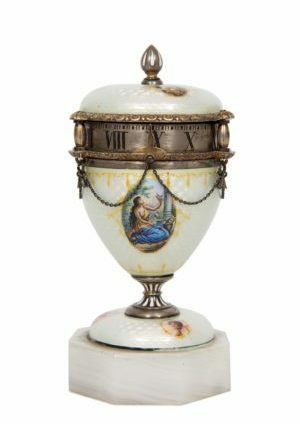 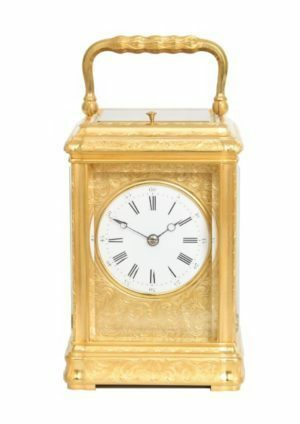 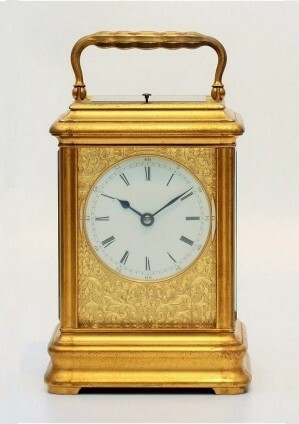 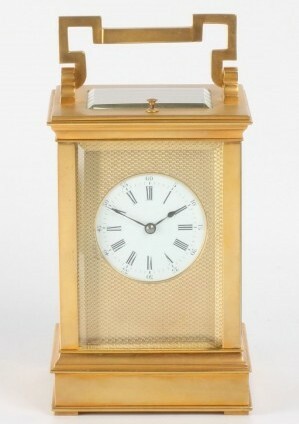 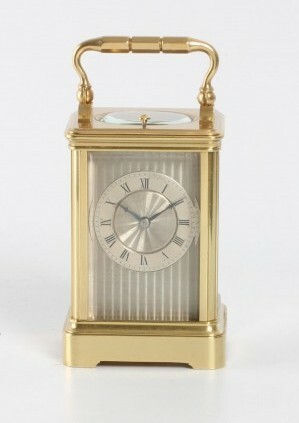 A French brass set Anglaise carriage clock with alarm, circa 1900. 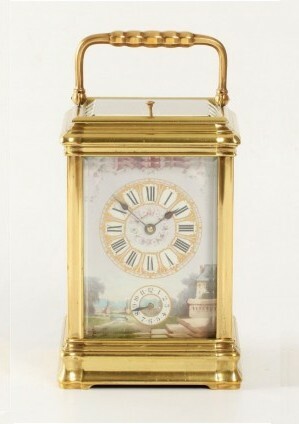 A French gilt brass Anglaise carriage clock with repeat, circa 1880. 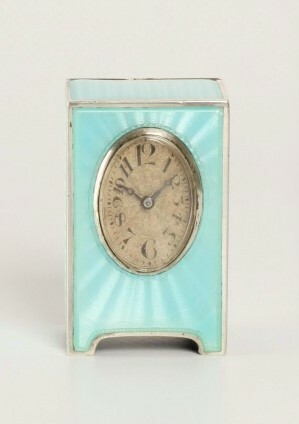 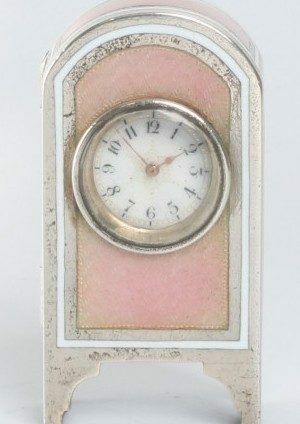 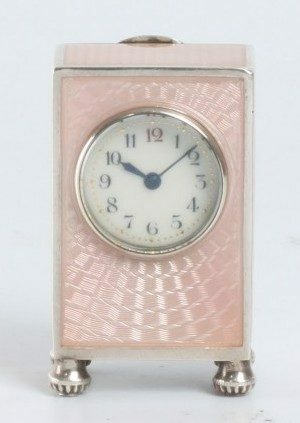 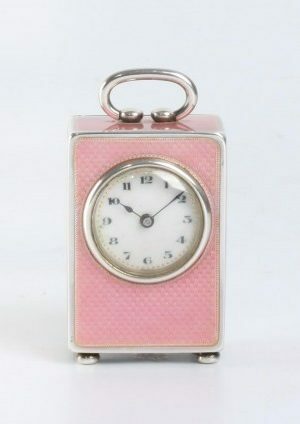 A miniature Swiss silver pink guilloche enamel timepiece, circa 1900.